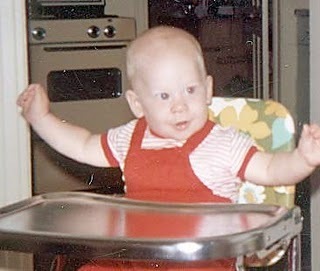 Armstrong was born on September 18, 1971, in Plano, Texas, a northern suburb of Dallas. At the age of 12, he began his sporting career as a swimmer at the City of Plano Swim Club and finished fourth in Texas state 1,500-meter freestyle. He stopped swimming after seeing a poster for a junior triathlon which he entered and won easily. Lance Armstrong's mother was 17 when she gave birth. His father abandoned them when he was two, and Armstrong has never seen him since. When reporters ask, he refers to his natural father as "the DNA donor". Lance Armstrong was born on September 18, 1971 in Plano, Texas. Lance lived all of his life with his mother, Linda, who was only seventeen when poor little Lance was born. His father, a man by the name of Gunderson, took off when he was only two. Yet his mother kept on working two jobs and finished high school; got a secretarial position and moved on to Oak Cliff and found another husband named Terry Armstrong. Terry was a born-again Christian who believed that the proper way of discipline was to whip a boy for any reason. This made a firm impression on the boy. 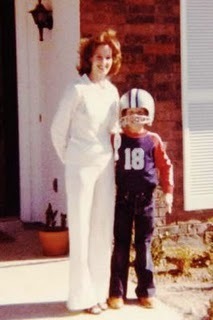 His mom, Linda, was and will be a guiding force in Lance's life. She worked extra hard to make sure Lance had everything; plenty of food and that clothes were clean and pressed. Yet she couldn't do anything about the friends at school. "You had to play football or be rich in order to fit in," Lance remembered. Of course, he had neither of those things. So Lance began to do athletics like running and swimming lessons at the age of 10. Instead of being with kids at the same age, he was put with 7-year-olds. It was embarrassing for someone at his age. Later on he took competitive cycling and triathlons at the age of 13. Lance Armstrong was born on September 18, 1971 in Plano, Texas. His father, Eddie Gunderson, abandoned him and his mother Linda, who was only seventeen when she gave birth, before his second birthday. Linda remarried Terry Armstrong three years later, and he formally adopted Lance. With little money, Linda was set on giving Lance a good life. When he was seven years old, she gave him his first bike. Terry and Linda divorced when Lance was in his mid-teens, leaving Linda to raise Lance on her own once again.